In the 1980s, Toyota undertook a massive project to develop a luxury car that would compete with the best of the European brands. 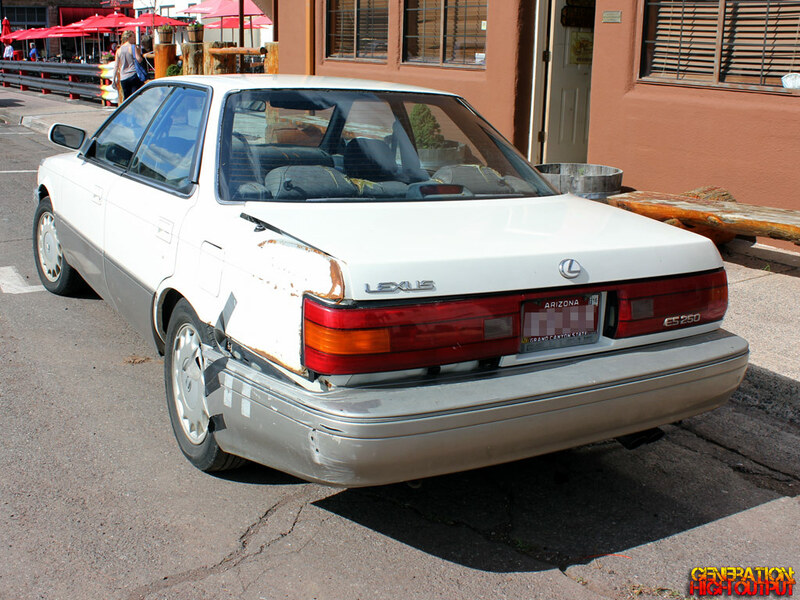 The company spent years and over $1 billion dollars developing the LS400: the vehicle that became the flagship for the new brand called Lexus. As the LS400 was being prepped for its 1990 release, Toyota felt that launching an all-new company with just one model was a bit silly. They needed a second car – a smaller model to balance out the product offering – and they needed it quickly. 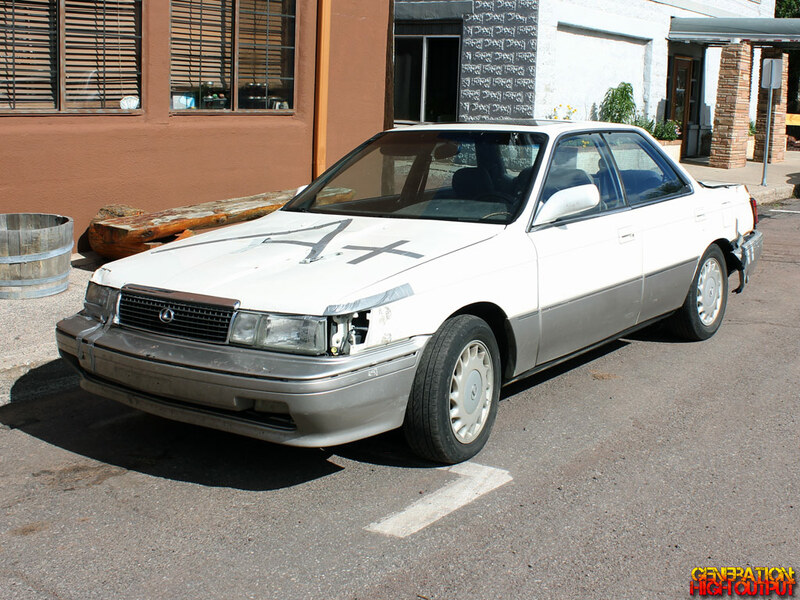 What they did was take the Toyota Camry and make some minor changes, and thus the Lexus ES (executive sedan) was born. Under the hood was the same 2.5L V6 engine from the Camry, although the rest of the car was spruced up with a different grille, tail lights, alloy wheels, and a better stereo system. Production of the ES250 was 19,534 cars in 1990 and 17,942 cars in 1991. These are pretty low numbers for a major automaker, and the fact that these were only sold for 2 years makes them pretty uncommon to see on the roads. The ES250 did not sell very well and was quickly replaced by the ES300 (though, to be fair, no one expected it to do well). I spotted this car in very rough shape on a trip to Williams, AZ earlier this summer. 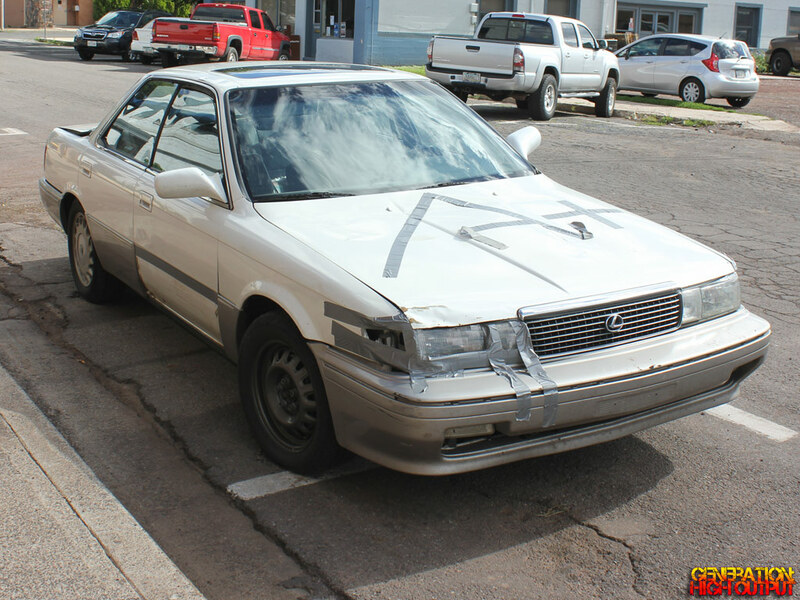 Although the duct tape on the hood indicates that this is an “A+” car, my eyes tell me differently. This entry was posted in Cars and Coffee, Driven and tagged badge engineering, ES250, Lexus, rare by Trevor Freeman. Bookmark the permalink.